The number of secondary school students taking art and design qualifications in the UK has fallen to the lowest level this century, the latest GCSE results show. Exam results published today reveal a four per cent drop in students sitting art and design exams, and a more than ten per cent drop in students taking design and technology subjects. Samantha Cairns, co-director of the Cultural Learning Alliance, described the latest figures as alarming. "We are alarmed about the impact of continuing drops in the numbers of arts GCSEs being studied on children's education," she said. "This year's arts GCSE entries showed the greatest falls for over a decade." 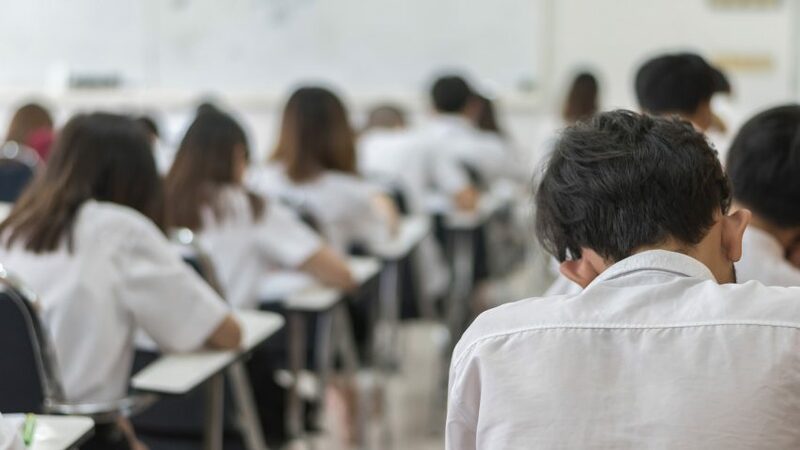 The latest figures come amid rising concern at what many see as the marginalisation of creative subjects in schools, and the resulting year-on-year fall in the number of students taking exams in these topics. This year, 165,815 students took design and technology subjects – a drop of 10.5 per cent compared to last year and less than half the numbers recorded at the turn of the century. The number has fallen each year since 2003. The number taking art and design courses is also at the lowest level this century, with 175,792 taking the subject this year compared to 183,085 last year – down 3.98 per cent. By contrast, over 200,000 students took these subjects in the year 2000. This follows last year's results, which revealed a 10 per cent fall in students taking design and technology exams, and an eight per cent drop in those taking art and design. The falling numbers were bad news both for students and the UK's creative economy, Cairns said. "A broad education that includes arts subjects prepares children for life, helps them become work-ready and prepares them for future careers in our fast-growing creative industries," she said. Today's results are the first since the Conservative government implemented its plan for reforming the GCSE qualifications, which are taken by students across the country in their final two years of secondary school. The plan was first laid out in 2013 by then education secretary Michael Gove, who said he wanted to add more "demanding content" to the curriculum. The reforms include the rollout of the controversial English Baccalaureate (EBacc), which replaces existing GCSEs with five compulsory subjects – English, maths, science, a modern foreign language, and either geography or history – plus two other subjects that students can choose for themselves. "Now, more than ever, we need support for creative education"
This is driving schools to focus on academic subjects at the expense of creative ones, which are often more expensive to run, said Cairns, whose organisation helps young people gain access to culture. "Our members tell us that accountability measures, including the English Baccalaureate, as well as cuts in school funding are causing the decline in entries [to creative courses]," she said. Designers have repeatedly expressed concern at the impact of the government's reforms. Two years ago industrial designers Edward Barber and Jay Osgerby said the government is "scared by creativity", while last year designer Michael Marriott described the British education system as "f*cked". In 2015 London Design Festival founder John Sorrell spoke out against the implementation of the EBacc. "Arts subjects are being marginalised as schools focus on EBacc and STEM [science, technology, English and maths] subjects," Sorrell said. "If we lose kids at 14 because they're choosing not to do a GCSE in design technology or art and design, what are we going to do about it? If we lose them at 14, we lose them forever."